Dorothy Cowie School of Dancing has had an eventful start to 2017! Opening a new studio, celebrating 30 years of Principal Donna Burland, many impressive State competition results, and preparing for our 2018 Disney Dance Tour. Dorothy Cowie School of Dancing has been established for 80 years in the Inner West and currently has four studios over our Croydon, Drummoyne and Burwood locations. In 2014, we opened our second Croydon studio, DC Academy of Dance, and also established a dance shop here. Our fourth studio in Burwood was only recently opened and we are excited to continue to promote our love of dance to the youth in Burwood. We had an exciting Open Day with performances from our elite soloists. The Burwood studio is now hosting classes in Ballet, Jazz, Hip Hop, Contemporary and Acrobatics for toddlers, preschool and school students. We have had an exciting start to the studio and are looking forward to watching it grow over the next few years. We have recently been made a finalist in the Inner West Local Business Awards for Excellence in Education Services. Dorothy Cowie School of Dancing was awarded this honour in 2009, 2014 and 2016, and in 2014 we were also awarded the Gold Business of the Year Award. Donna Burland was also awarded the Business Person of the Year by the Local Business Awards in 2015. The school loves the opportunity that the Local Business Awards provides to highlight community businesses and organisations and the outstanding work that they achieve within the community. 2017 is Donna Burland’s 30th year as Principal, after she was appointed Principal of the school by Dorothy Cowie herself. Donna has seen Dorothy Cowie School of Dancing grow enormously from its single Croydon location to the four studios that currently host over 250 classes throughout the week, in styles such as Ballet, Tap, Jazz, Hip Hop, Contemporary, Lyrical, Song and Dance, Yoga, Pilates and Toddler Dance. Classes range from toddlers to adults and Donna and the school are committed to ensuring that all who attend classes are instilled with a passion for dance. We are busy preparing for our 2018 Disney Tour where we will be travelling to LA to perform at Disneyland and onboard an International Mexican Riviera Cruise. This tour will be our 6th international tour — since 2007 we have performed in LA, Orlando, London and Paris, as well as on many cruise ships. The students have also participated in many workshops internationally, in the USA and London, furthering their dance education and even further instilling their passion for dance. We are looking forward to sending a new group of our younger students on their first exciting tour in 2018. Dorothy Cowie School of Dancing is committed to community events, and performs at numerous events throughout the year, including St Mark’s Fete, St Martha’s Fete and Ferragosto. Dorothy Cowie also often performs at Westfield Burwood and Pitt St Myer Christmas Shows. The school is always happy to donate vouchers and perform at various community fundraisers, including the Jane McGrath Foundation, Enough is Enough and the Cure Brain Cancer Foundation and many more. In 2011 at our Drummoyne studio, we were excited to launch a partnership with Special Olympics and host a weekly class for students with special needs. The students learn jazz and hip hop and are always excited to perform at our end of year concerts. Our end of year concerts are always an exciting affair! We currently hold seven annual concerts at NIDA in Kensington with our preschool to senior students. All our parents and guests love to watch their children perform and progress through the years. Many of our senior students started in our preschool classes, and it is beautiful to watch how they have grown and developed into beautiful young dancers. 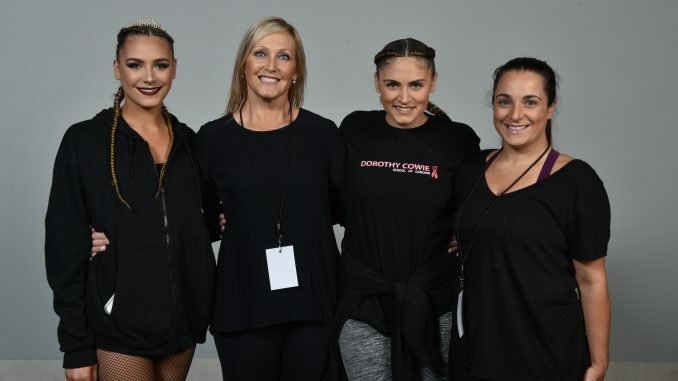 Dorothy Cowie School of Dancing undertakes exams in Ballet, Tap, Jazz and Hip Hop through Australian Teachers of Dancing, achieving excellent results, with many students subsequently performing in competitions in these genres at both a state and national level. Come and visit us any time, meet our staff and organise a trial lesson.